Qualtrics produces a number of dashboard offerings to support its Customer Experience and Employee Experience product lines. These dashboards are used by many Fortune 500 companies to monitor customer and employee feedback at scale. I led this project and I managed the work of the two designers who produced the work below. I also helped support subsequent engineering and QA efforts to enable successful deployment. ensure customers and client-facing teams found the redesign significantly better than the current designs. My goal for the team: build ability for UX designers to partner effectively on a project. Here was the prior dashboard experience. The prior dashboards were functional, but had a suboptimal information hierarchy, overly complex filter and navigation treatment, and data visualizations that had become distracting. The mobile experience was not ideal either, as several visualizations looked suboptimal on mobile. 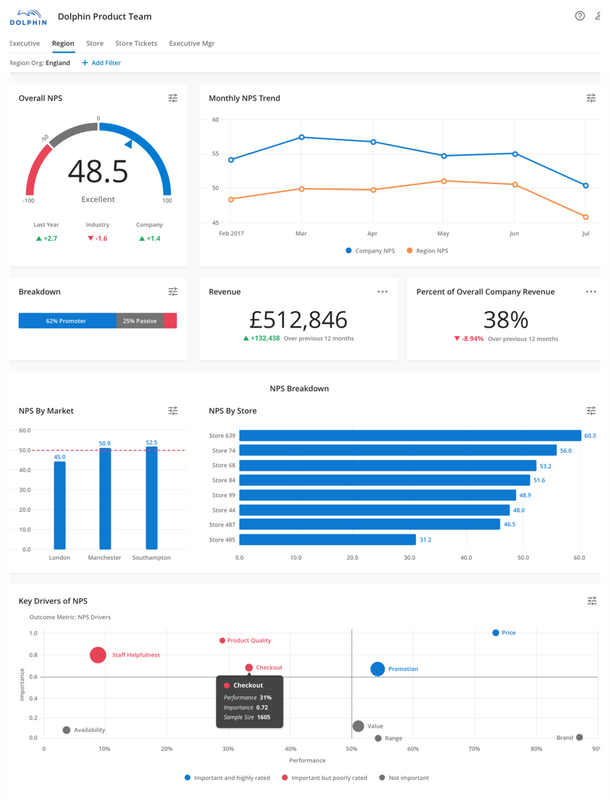 The first step in the project was to gather feedback from customers and client-facing staff on the existing dashboards. 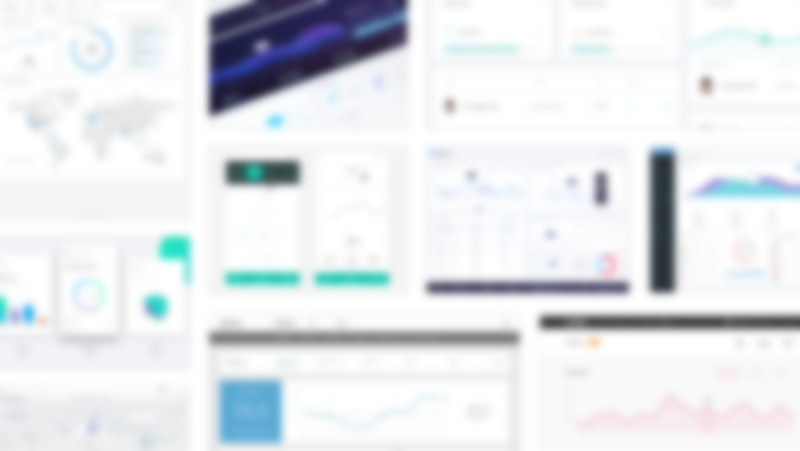 We also did a competitive scan to understand the current state of dashboard design (both visual design trends as well as navigation/IA standards). One of the designers produced a mood board to help us discuss design approaches. We then iterated on dashboard visual designs and navigation/filter treatments, gathering feedback from customers and client-facing staff along the way to help us settle on the redesign. We then deployed design standards and met with engineering in weekly development sprints to ensure the designs were developed as designed. Here is an abstracted mood board one of the designers created to illustrate the current state of data visualization. Image blurred to protect IP. I conducted a comparison of various dashboard offerings to draw insights. Image blurred to protect IP. As designs came together I conducted a series of external and internal studies to mature and evaluate the efficacy of the designs. Image blurred to protect IP. We announced the final redesigns at our annual corporate conference and allowed Employee Experience and Customer Experience customers to opt into the experience the summer of 2018. The web dashboard experience features a new navigation system, a new filter treatment, and redesigned information graphs throughout. This is a concept created by a designer on my team. The mobile experience was similarly successful. This is an illustration produced by a designer on my team.